Running in Jakarta. The best routes and places to run in Jakarta. Jakarta, the capital of Indonesia, is located on the northern coast of Java. It is the seat of the national and provincial governments and also represents the centre of Indonesia’s national finance and trade. Over recent years, Jakarta has experienced a rapid expansion. Despite this city of 9+ million’s reputation as “the world city with the worst traffic”, Jakarta is a fascinating place to visit due to its diverse culture, history and buzzing atmosphere. 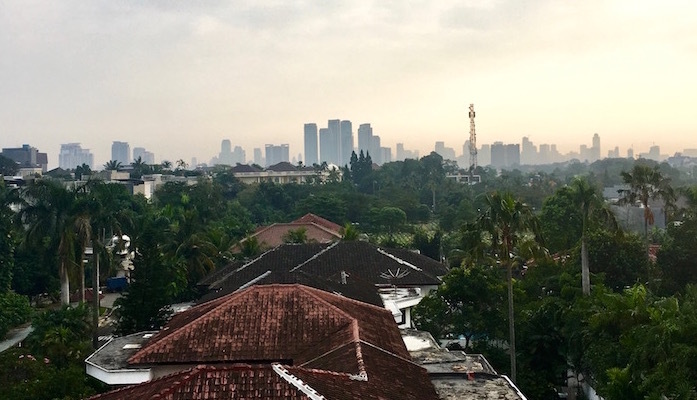 Those looking for the best spots for running in Jakarta will have to contend with density, traffic, bad air, and heat — but there are many hidden gem running routes and a welcoming running community. Our thanks to Josephine Anselin, an expat runner living in Jakarta, for her help in putting together this guide! 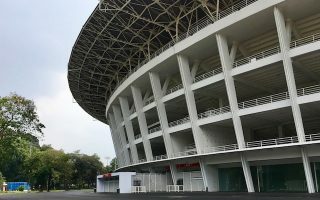 In central Jakarta, near where many visitors stay, the best spots are the National Monument Complex, the Gelora Bung Karno Sports Complex, and Surdiman Rd. (on Sundays). The loop around Ragunan Zoo in South Jakarta is very popular. The most scenic, extensive off-road run is the Taman Impian Jaya Ancol, with paths past a recreational complex and a seaside promenade. For wonderful trail running, head to the Sentul Highlands, about 50 km south of Jakarta. Though cars and taxis are still the main form of transportation, public buses, “metro-minis,” and a commuter rail also offer service in the main part of the city, though they can be crowded and unreliable. For some of our further-flung running routes, a car is your best bet. 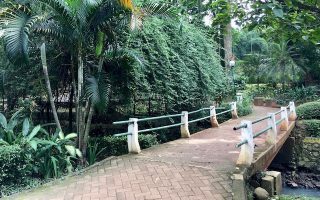 The 6 km loop around Ragunan Zoo is one of the most popular routes in the city, featuring over 200 animal species and some impressive exotic trees and plants. 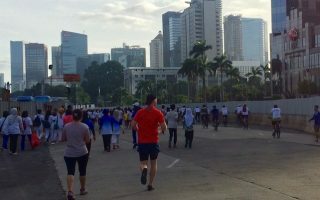 During the week, Sudirman Road is jammed with traffic, but on Sunday mornings during car-free hours (6 am-11 am) the big boulevard turns into a great place to run. The tracks around the Gelora Bung Karno Stadium are very popular with runners on weekday mornings. It's a good option for those working or staying in the Surdiman Rd. area and the Convention Center. The National Monument is surrounded by an 80 hectare park, one of the largest city parks in Asia, which includes shaded running paths. A loop around the perimeter is 4.2 km. 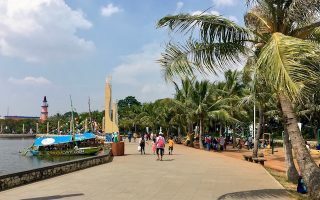 This popular recreation area includes well-maintained tracks through eco-parks and a seaside promenade which goes all the way from Indah Beach to Carnaval Beach. At 8 km, this is one of the longest off-road runs in Jakarta. A lush, recently renovated 3.5 acre park with good options for a short, flat run. A loop around is 1 km. 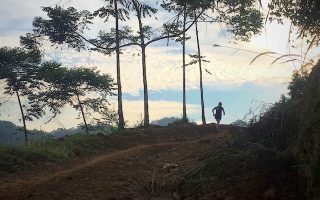 20 km route through beautiful off-road trails in the Bogor district, about 50km south of Jakarta. Great mountain and rice field views along the way. Options for longer and shorted. IdGuides offers wonderful guided runs on the trails. The heat and humidity factor into the running experience in Jakarta. Jakarta experiences a tropical monsoon climate with year-round daytime high temperatures averaging 32°C (90F). Nights don’t cool off much. The rainy season, which consists of intermittent downpours, starts in October and ends mid March. January is the wettest month and August the driest. Given the size of the city, there is a huge selection of accommodation in Jakarta. You can find anything from budget to 5 star hotels. Jakarta is divided into five areas: South (selatan), West (barat), Center (pusat), North (utara). and East (timur). 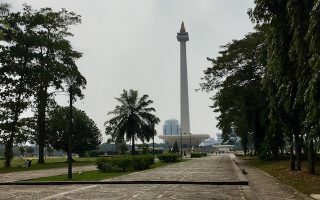 Menteng and Wahid Hasyim areas in Central Jakarta are popular locations among tourists due to their proximity to historic landmarks, tourist attractions, and walking friendly areas — and near a few of our favored Jakarta running spots. Jalan Jaksa in Central Jakarta is known as the backpacker area. If you are looking for western style restaurants, bars and cafes, Kemang area in South Jakarta is a good pick. This is where the majority of expats live. To access the best running, try to stay in one of the areas near our routes in central, north or south Jakarta. 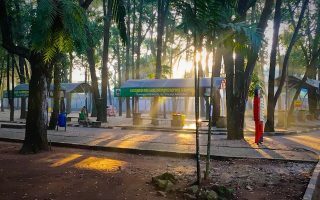 Jakarta Free Spirit hosts group runs on Saturdays at 6:30 am at Ragunan Zoo. Most runners are expats. Relaxed atmosphere, usually followed by breakfast. Indo Runners has group runs on Sundays at 5:45am at SCBD Sudirman runner’s avenue. This is the largest running community in Indonesia. They are welcoming of runners of all levels. Senayan Runners have track sessions Tuesdays and Thursdays starting at 6:30 am at Gelora Bung Karno Stadium.